If you have any questions about myself or my services, please look below, you may find the answer you're looking for. If this cannot answer your question, please contact me through my Contact page. Do I deliver every image I have shot? Included in my hire, is a CD-R disk containing all images I have taken. Also on the disk are the images that I prefer, have edited and conclude as my finals. Do I provide a videography service? Yes, we offer a videography service. Please note that if I am the sole photographer at the venue I cannot video and photograph simultaneously. I operate from Royston, Hertfordshire and surrounding towns and villages, typically within 15 miles. Please Contact Us for thirther information. Have I shot at my venue before? Please Contact Us and ask. Who will be shooting at my event? Samuel Curtis is the primary photographer. We will use assistants and sub-contractors if we feel necessary. You will be advised in advance. Anyone working for or on behalf of Samuel Curtis Photography will be wearing ID badges. Do you shoot corporate and charity events? At Samuel Curtis Photography, our motto is that "We take the photos so you can enjoy the moment". We don't mind what that moment is. We will photography any event that you need cover for, corporate or private. Our current services include; Event coverage, Studio photography, Commercial/product photography, Portraits, Small school portraits, ID photos, Baby and New-born and Photo restoration. What is my philosophy regarding photography? There is nothing more satisfying than getting out in the country, camera in hand and capturing all the surrounding beauty of rolling countryside. The only thing better, is being able to put my photography skills to use by photographing for others. I am not like other photographers who charge dear to make a large profit. I photograph because I love to, and I try to keep my costs at a reasonable but affordable price. The reason why I am passionate about photography, is that it can allow us to slow down time and capture life in those important moments that we should all hold close. Something especially crucial in the busy, high paced world of today. Photography also gives us, in the capacity of digital imaging, to enter a world that can be altered into a fun and creative universe, just by the click of a curser. I like to think that I do not have a preferred style. I don't believe in focusing too deeply in one area and narrowing my perspective on things. My venue is very dark, how would you overcome this? I have a variety of equipment to assist me in low light conditions, including flashes and portable lights, I will use what I equipment I feel necessary to complete the work in respect of your wishes. Can I request a certain style to my images? If you have a certain style in mind, just ask. We will do as much as possible to meet your requirements and advise you the best we can. How do I get my wedding published on wedding blogs or magazines? This is unfortunately not a responsibility of Samuel Curtis Photography as would need to be done by the client. How long does post production take? Depending on the workload and number of images, I aim to have images ready within 1-2weeks. Do I touch up all of the images? No, I shall only touch up images that I feel need digital enhancement. I shall not if requested by the client. What is meant by "Touching up"? Touching up refers o the digitally enhancing or editing of the images to achieve a higher quality, This can include; Re-colouring, sharpening, Red-eye removal, Shot-healing (removing blemishes) or ant creative editing to the clients request. 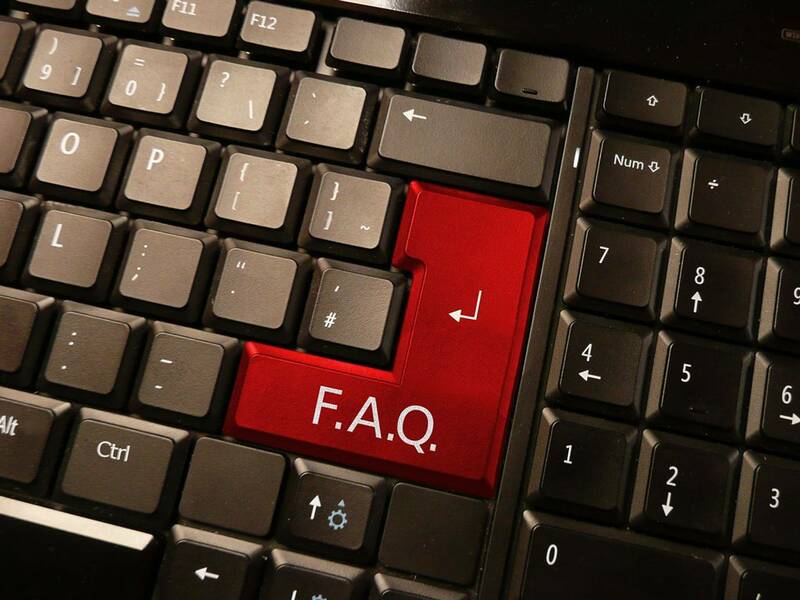 Please click Here for the separate Wedding day and Engagement FAQ's. Our standard size of images has a ratio of 3:2. At full resolution, you should have no problems printing up to a size of 100x67cm. For larger sizes, I recommend speaking directly to the printers. What rights do I have to digital prints? As per United Kingdom Copyright laws, once taken, the digital image is the ownership of Samuel Curtis Photography. However, once you have seen the proof images and payment has been received, the ownership belongs to the employer. I will not use your images for advertisement purposes unless permission has been granted to me. How can I clean my photo product? You can dust your picture with a non-fuzzy, soft, dry cloth (microfiber, for example). To allow you to enjoy your product for a long time, please do not use glass cleaning products under any circumstances for mountings on backing board or under acrylic glass. Please also avoid putting pressure on the surface when wiping. For standard quality and sizes smaller than 8x6", we aim to deliver images within 5 working days of order. For specialized prints or enlargements, delivery can take up to 15 working days as we use third-party companies for a higher finish. Do you sell photo albums and guest books? Yes, we sell a small collection of hand-made photo albums and guest books to suit our needs. How long does it take to get my photo album and guest book? Once ordered, if in stock, we aim to deliver your photo album or guest book within 5 working days. How long doe it take to receive my Photobook? Our Photobook's are created ourselves and printed by BookWright. After order, we make the layout within a week and production/delivery would take up to 15 working days. Can I add more images to my album? We provide albums unfilled. We will advise on an albums capacity but in the end, it's up to you. We feel that this way, its more personalized to you. What type of camera/equipment do I use? My primary camera is a Canon 7D mkii with a 7D mki as backup. I use a multitude of different lenses from different manufactures to suit the requirements of the shoot. If studio lighting is required, I use 3x Godox 400 strobe lights. For security, i do not want to give out too much details. What if you do not have the equipment required? If I am not in procession of the right requirement for a shoot, you would be advised. However, I always have the option of hiring equipment if needed. My venue has no power source, is that a problem? Genially no. Modern cameras are battery powered and i carry plenty spare. If you require studio lighting in a remote location, I do have a diesel generator if required. Do I backup our images, how? When on a shoot, i will use multiple methods to keep your images safe. I will carry spare memory cards so that no images will become overwritten. Also, many of my memory cards wireless transfer image to my computer where they are transferred to a solid state hard drive for storage. Ideally, it is best for us to meet the client directly, this way we can record all your requirements in detail and get to know each other. However, we know this may be difficult. If we meet with family/friends instead, be aware that they will be the ones giving us the details so they must be in procession of all the facts. Whoever signs the contract as the client is responsible for the arrangements and payment. We're very busy and won't be able to meet. What are our other options? Alternatively, you can call or email regarding your requirements. However, your signature in person is required on the contract, prior to the event. You can get in touch by our Contact Us page. Yes, if you would prefer for me to come to you, I will depending on distance. What if we exceed our contracted time for our event coverage? My charges go on an rate basis. The longer i'm there, the more I will charge. £40 per hour. If you want, we can arrange fr me to stop shooting, once you have reached your time allowance. We can take all card payments [no fee] and Contactless if under £30. We also accept Cash (GBP), cheque or bank transfer. Is there a deposit and is it refundable? The first hour of event photography is £50 and also acts a a non-refundable deposit. The deposit is refundable however, if cancelled within the allotted time. If we change our wedding to a different date, would we be able to put our deposit to a future date? Yes, if the changes were made within the allotted time. Do I charge travel fees? yes, only if outside my area of operation. Do I have insurance and what does it cover? I do have insurance, provided by Photoguard. This covers my from equipment damage, mechanical malfunction theft and vehicle theft. This also covers me for Public Liability Insurance. No, we are not VAT registered.